Fosters Bakery — Meet our NPD Team! At Fosters Bakery, new product development, product specifications and making sure our products are to high standards means that we have an in-house technical and NPD (new product development) team who focus on this area of the business to make sure we are giving our customers what they want. We have a page on our website dedicated to the technical team already but we want our customers, consumers and business partners to know a little more about where your products start. I am the head of our NPD and Research department. My love for food started early on and I attended a bakery course in Manchester (where I met John Foster, our current MD). After college, I worked for Warbutons in their NPD department, and for a short time, worked at Gunstones Bakery in Barnsley. After this, my career at Fosters began! I first started working in the cream room, decorating confectionery back when we had shops and also for our wholesale customers. After leaving for 10 years when having my two children, I came back to Fosters and spent a small while in the office. Then I began my NPD/Research work, reformulating our recipes and moving away from pre-mixes, this then lead into a new project to develop our own bread improvers. Due to this, we now produce around 70% of the improvers we use in our recipes and we are hoping to make this 100% very soon! I have worked in NPD for many years now, developing new recipes and as the company has grown, we have increased our department staff and now have a team with a great depth of knowledge. We still create and reformulate new recipes daily whilst testing new ingredients that improve our products and keep Fosters the best in the market (in my unbiased opinion…). As I go about my daily work, I constantly monitor the quality of the products being produced and offer advice on how we can improve things and making the process easier for our bakers. We also help in the bakery should there be any technical issues so every day is different and interesting! I have been at Fosters Bakery since 2002 where I first started as a summer job, wrapping confectionery. I then moved from this into decorating confectionery (iced buns, fresh cream buns etc. ), from this I progressed into the baking side of confectionery, this included our buns, cakes, pastry etc. In 2012, we decided to make our site nut and sesame free! After this, we opened up a smaller nut bakery down the road from where we are now. I ran this bakery and we made bakewell tarts, after its closing in 2014, I returned to baking confectionery for a short while then moved to join the technical team in 2015. My job within the technical team involves consulting with customers (new and old) about their requirements. This can range from the actual product they require, its feasibility and the list of ingredients we can and can’t use. I then formulate recipes and begin my work in the development kitchen. I am involved throughout the whole process, from sending out samples to customers, developing it into bakery trials and finally launching the product. In between all of this, I pass on recipe information to my colleague, Amanda who fills out the documentation. I also help our marketing coordinator to develop fabulous breads and recipes for our social media. I have been at Fosters Bakery for around 5 months now as I started mid-November. After going to University and studying a Hospitality with Culinary Arts Degree, I knew I wanted to pursue my interest in food. I began in foodservice but my real interest was in product development. When I came to Fosters for my interview, I was mesmerised by the bakery and all the machinery and different types of bread they produced. After that, I knew it was the place I wanted to work. On a standard day, we receive requests off of customers who are asking for a specific product. My colleague Adam then creates or alters a recipe to fit the brief, this can involve making alterations to ingredients such as sugar, salt, whether they want it palm or soya free. My job involves weighing up ingredients for the samples ready to make the next morning. This can range from mini box loaves, brioche, bloomers, breakfast muffins to hot dog rolls. My role is very varied and I love that we are doing something different each day. Additionally, we may have requests from customers who want something tweaking in a product which they already take. For example, a customer has just requested a ‘cleaner’ brioche which contains no e-numbers or soya. Other aspects of my role involve trial and error, not necessarily requested by a customer but our ideas which we put to the sales team. For example, I made some white rolls with added Christmas themed chutneys in last week to see if they could work for a special Christmas roll! I started my journey into the food and drink industry 24 years ago as a QA technician for a soft drinks and beverage company, I then moved into the position of an NPD technologist and stayed there for 11 years. I have done a wide variety of roles throughout my career, from being a Finance Director to a QA (Quality Assurance) Technician to a Fast Track Quality Supervisor for ASDA. I began at Fosters Bakery as a Specification Technologist at the beginning of October. My role is completely different day-to-day and depends on what products we are developing and what customers are requesting. Part of my role requires me to set up the product on our system once the customer has decided to take it. I receive the recipe from Adam who’s part of our NPD team and I create a product name and code and format the specification. I format specifications for several platforms, for office staff and technical staff. I create the label and barcode for the product for the packaging. I also fill out a quality attribution sheet which has photos on demonstrating what our standards are and what would be cause for rejection. As well as this, I keep up to date with sending our customers our newest versions of our certificates, for example, we were just audited for BRC Global Standards for Food Safety (which we received Grade AA, woop! ), so it is my responsibility to send out our updated certificate. I also follow up with customers if they have any queries about our specifications and I complete internal audits within the bakery to make sure all procedures are being followed correctly. I began working at Fosters Bakery 46 years ago in 1972. I originally came to Fosters to be a mechanic but ended up in the confectionery department as a trainee baker, and the rest was history! I then spent 12 years as a production manager on the night shift and also worked as a general baker in the bakery. I always baked my own bread at home so I always had a keen interest in baking. After working in the bakery, I moved over to the NPD side of the business, I worked as a QA for 12 months and then moved into the role I am in now. My day-to-day job varies all the time and doesn’t have an exhaustive list of things I have to do. I help with general issues and trouble shooting within the bakery. For example, I have just helped to set up our 2 new sourdough tanks in the bakery and a few weeks ago I helped to set up network silos. I am also responsible for training new staff on their health and safety. This includes getting the staff up to our high standards of food hygiene, this involves all new office staff and staff within the bakery. As well as this I am also still baking and often work as a baker too, so my role really varies at Fosters! After completing an MSC in Food Technology and also Economics and International Marketing, I spent two years in Hungary doing Quality Control. Whilst I took some time off to have my 3 children, I also founded a company called Qualiter which specialised in quality control. Me and my family then decided to move to England where I worked in a casino for a short while, something I had also done whilst at University! I then moved to Fosters Bakery 6 years ago where I started my role as a QA. My role essentially covers making sure that the products we are sending to customers are correct and up to our standards. My job is also focused around food safety, looking into the quality of our products and dealing with any customer complaints. I also ensure that we are meeting the standards set by BRC Global Food Standards for Safety, a framework in which companies are assessed to manage their product safety, legality and quality. 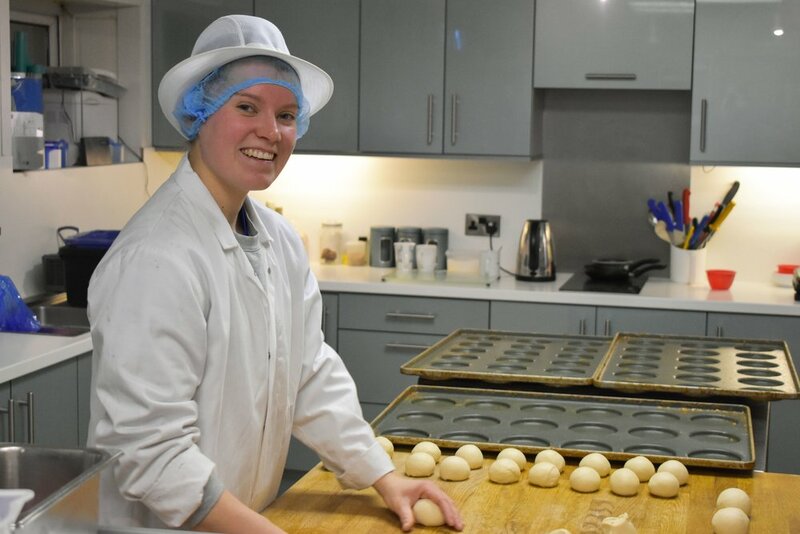 As well as complying with standards set by companies such as BRC, I also manage customer audits and make sure our products and processes in and out of the bakery meet customer requirements. My job is basically to make sure things are running smoothly and as they should be, ensuring our products are safe and meeting the required specifications by us and the customer. Have a question for the technical team? Call 01226 215980 or email technical@fostersbakery.co.uk. Please see our full contact list for individual emails and phone numbers. Sign up with your name and email address to be the first to see our new blog posts!